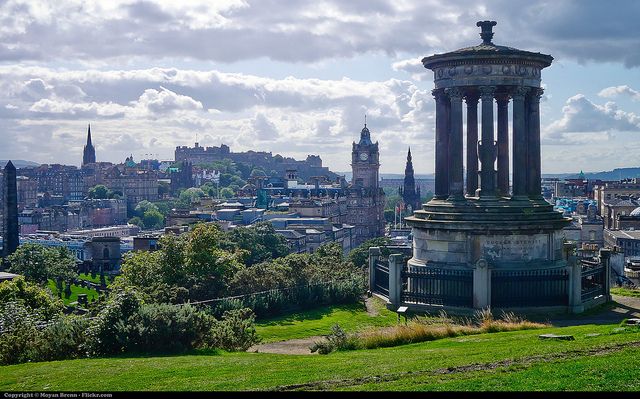 Consultation is now open for feedback on the Old and New Towns of Edinburgh World Heritage Site Management Plan (2017-2022). During the summer last year, over 1000 people took part in a consultation and gave us their views on how they felt the World Heritage Site is being run. What people told us has shaped the draft Management Plan. The draft Plan sets out a number of actions which will be taken forward by the management partners (City of Edinburgh Council, Historic Environment Scotland and Edinburgh World Heritage). April 18th is an ‘official’ international celebration day first proposed by ICOMOS, the International Council for Monuments and Sites and then approved by UNESCO, the United Nations Educational Scientific and Cultural Organisation (the part of the UN that manages World Heritage) – in 1983. Each year has a theme, and this year’s theme is sustainable tourism, but many Sites simply choose to use the day to raise awareness. A number of UK World Heritage Sites are celebrating the day this year with a programme of events, including the City of Bath, Durham Cathedral, Fountains Abbey in Yorkshire, Ironbridge Gorge, Saltaire, Maritime Greenwich, and all of the six Scottish World Heritage Sites. Activities include diverting rivers, creating St Kilda in Minecraft, guided walks, illuminations, craft activities, ceramics workshops, games, short talks and even yarnbombing! World Heritage UK, the national charity that represents the UK’s 30 World Heritage Sites is collating this information on its website at https://worldheritageuk.org/whday17/ so make this your first point of call for your guide to the day. We are also preparing a Twitter Thunderclap and will have a Twitter World Heritage hour in the afternoon on the 18th, so keep watching the hashtag #WHDay2017 and sign up to our twitter feed at @worldheritageuk to see what happens! A new report has found that residents, visitors and businesses attach an economic value of between £1.2 – £1.4 billion to the World Heritage Site. The survey, using a Treasury-approved approach, is the first time the value of the city’s heritage has been measured in this way. The report reveals the depth of public support for the World Heritage site. The survey found that 96% of respondents feel that the city’s heritage is beneficial, and that this support is regardless of respondents’ economic or social background. Residents, visitors and businesses all strongly support the conservation of Edinburgh’s heritage, and see the World Heritage Site as a public good and long-term legacy for future generations. The report was designed to capture the relationships that residents, businesses and visitors have with the site, and to express this through the attribution of a monetary value. Importantly, the contingent valuation established by the research is entirely separate to the commercial activities of businesses and residents within the World Heritage Site. Cllr. Gavin Barrie, Convener of the Economy Committee, responded: ‘we are immensely proud of Edinburgh’s World Heritage Site. It brings tremendous value to the city and its economy and this research is to be welcomed. The report spells out why millions of visitors are flooding to Edinburgh every year to enjoy the World Heritage Site. This is of great benefit as the capital is heralded as the ‘gateway’ to the rest of Scotland. Our residents also take pride in the area and businesses report great benefits to the local economy. The evidence suggests that the economic value placed on the World Heritage Site drives investors’ financial decisions. You can download a copy of the report here, or on the EWG website here. Watch this space for further World Heritage UK events in 2016, including a Members Meeting at the Giant’s Causeway at the end of June and the second World Heritage UK conference in October. This meeting was aimed at World Heritage practitioners, and took place in the offices of Historic Environment Scotland (HES), Edinburgh, on Jan 25th and 26th 2016. Its focus was on WH Site Management planning, looking at current guidelines, good practice, effectiveness and case studies. This post gives the presentations and notes from the 2 day event. Our thanks go to HES for supporting the event, and for being such outstanding hosts. Our thanks to Historic Environment Scotland, Edinburgh City Council (for the walking tour) and all speakers and participants for coming along and making it such an enjoyable and stimulating event.